This book provides an account of the distinctive way in which penal power developed outside the metropolitan centre. Proposing a radical revision of the Foucauldian thesis that criminological knowledge emerged in the service of a new form of power – discipline – that had inserted itself into the very centre of punishment, it argues that Foucault’s alignment of sovereign, disciplinary and governmental power will need to be reread and rebalanced to account for its operation in the colonial sphere. 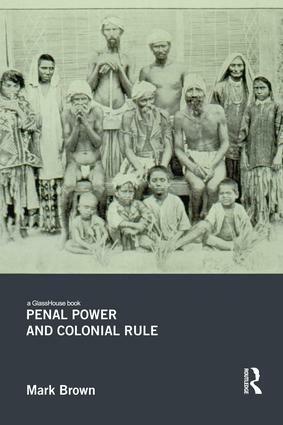 In particular it proposes that colonial penal power in India is best understood as a central element of a liberal colonial governmentality. Drawing on post-colonial theory, Penal Power and Colonial Rule opens up a new and unduly neglected area of research. An insightful and original exploration of theory and history, this book will appeal to students and scholars of Law, Criminology, History and Post-colonial Studies.